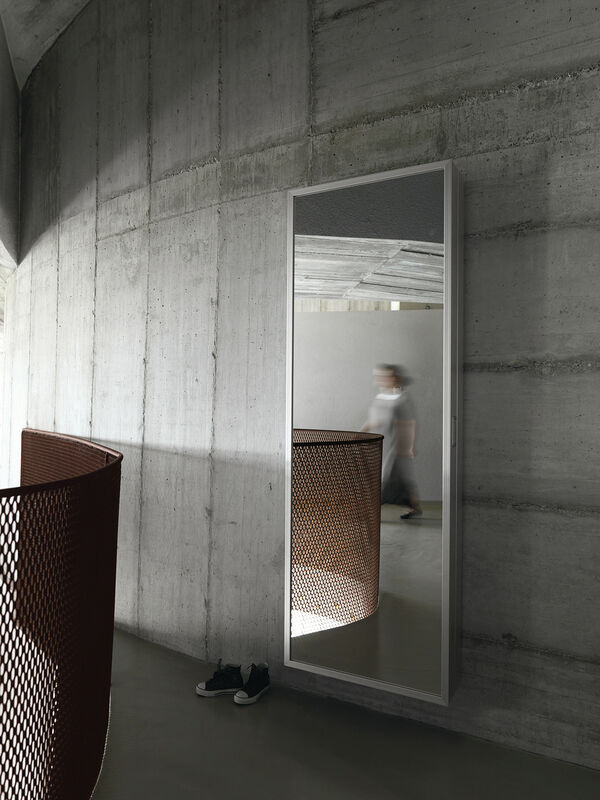 Box is a simple and universal mirroir which can also be used as a wall cabinet thanks to its multi-purpose shelves. 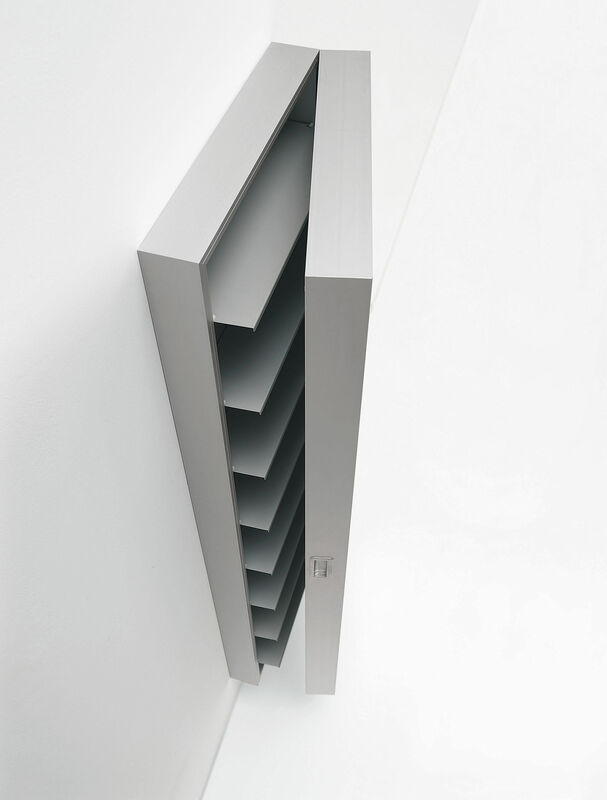 Its structure, in anodized aluminium, can be mounted in two different directions to provide a Rh or Lh door opening. 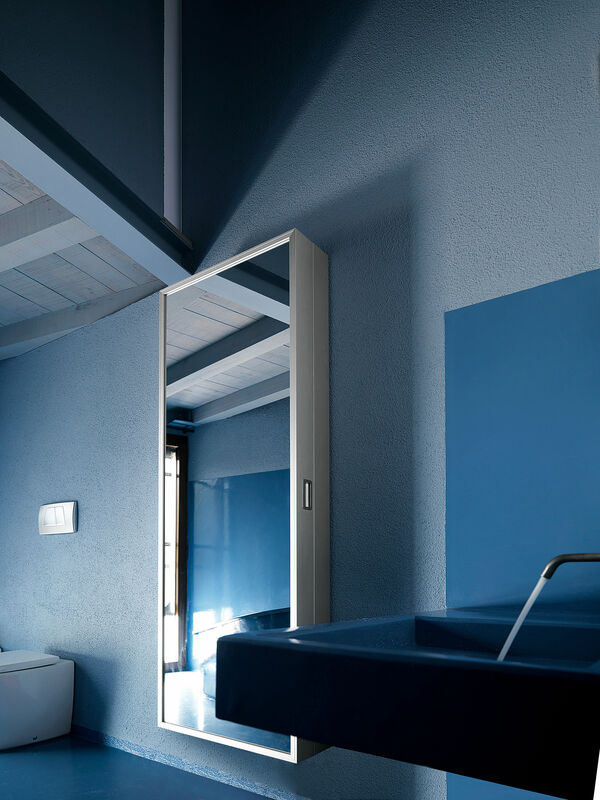 The door is available with an external mirror finish. 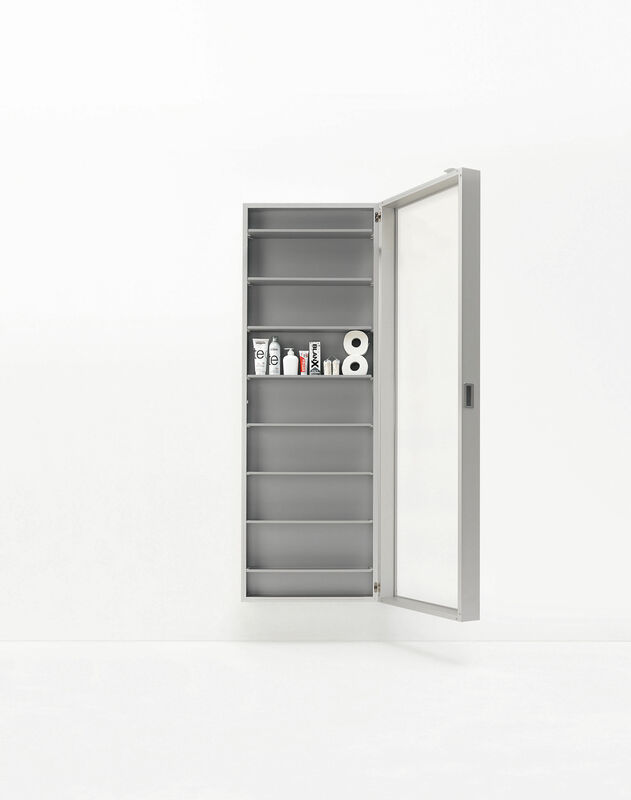 It opens wide to 180° and is equipped with concealed hinges.